British rockers Pink Floyd have hit number one on New Zealand's official top 40 album chart with their first album in nearly 20 years. Formed in 1965, the band has sold more than a quarter million albums worldwide, and have just released their 15th and final album. Titled 'The Endless River', it's based on hours of unreleased material and is a tribute to Pink Floyd's keyboard player Rick Wright, who died in 2008. The album has also debuted at the summit of the UK charts, making the band’s final album their sixth No 1. The veteran group robbed the Foo Fighters of what would have been their fourth chart topper, as Sonic Highways enters at No 2. 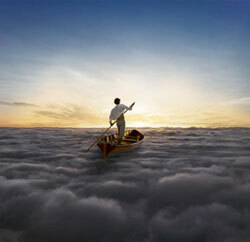 In a statement, Pink Floyd said they were “thrilled and surprised” by the commercial interest in The Endless River. Made in part with studio sessions from 1994’s The Division Bell, this is also their first studio album since then. The Division Bell spent four weeks at No 1 and has sold more than 15 million copies worldwide.